Flock Curiosity Assembly is what can happen when two creatives cross the seas and meet somewhere in the middle. One designer from Perth, the other from N.Z, but now calling Melbourne home, Sah and Stacey are the creative force behind this super funky accessories label. 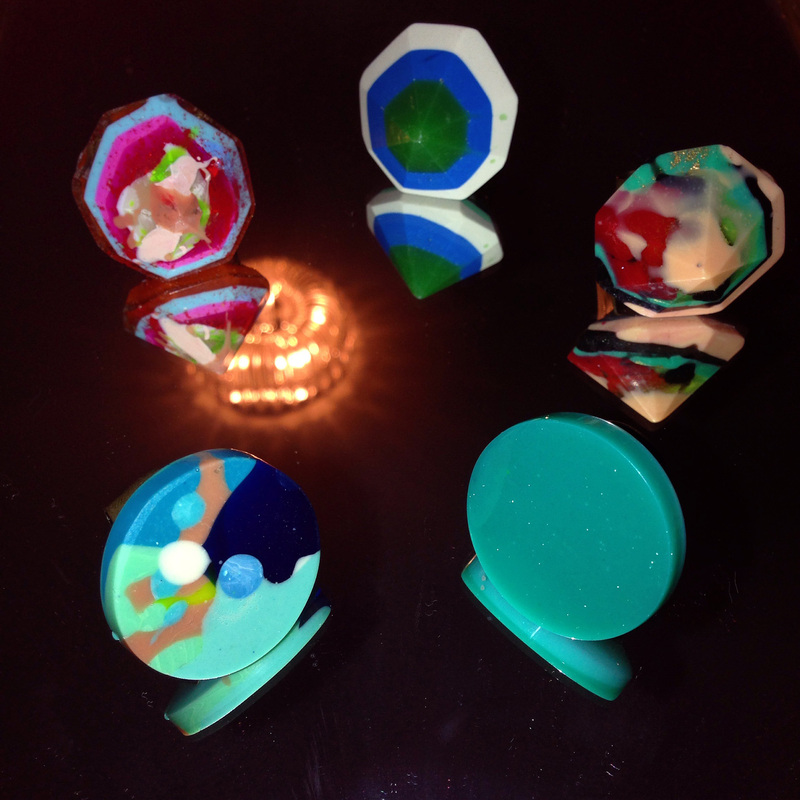 Flock Curiosity Assembly creates handmade, one of kind, resin jewellery. Check out these funky rings…this is statement jewellery for funky people!